Would you like to save $10,000 or more in direct, front-end savings on every executive search? 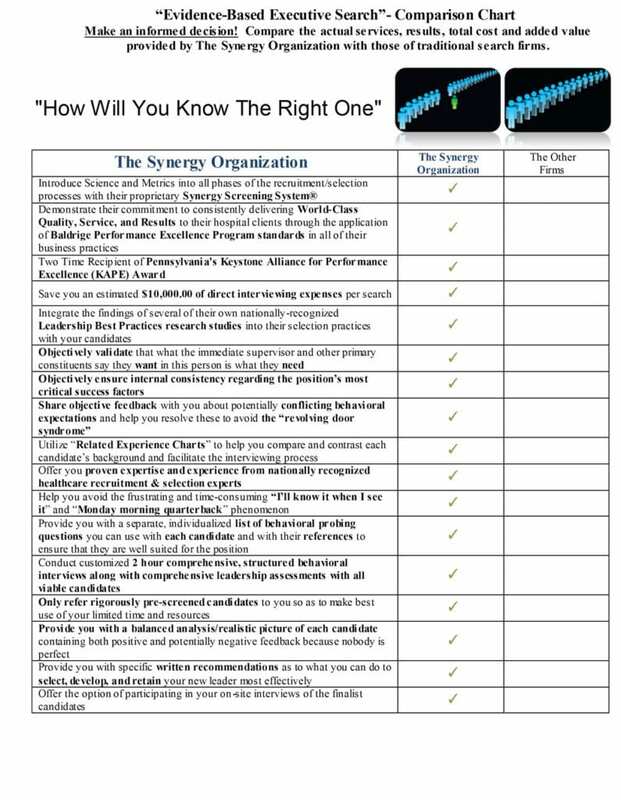 Our proprietary Synergy Screening System® is specifically designed to objectively quantify in measurable terms what matters most to the mutual success of an organization and the new leaders. Because our Synergy Screening System® is universally integrated into all that we offer progressive healthcare organizations, our client partners achieve higher quality, greater value and lower costs than are otherwise possible. In fact, our clients have conservatively estimated at least $10,000 in direct, front-end savings—per search! So, take the Synergy Challenge and compare Synergy to the traditional Big Box search firms. We obtain evidence from all of the stakeholders via a proprietary series of structured interviews and carefully crafted, standardized assessment instruments and internet-based profiles. Within just a few days, Synergy can gather all of the data it needs to cross-validate wants and needs. What a great investment of a healthcare organization’s limited time and resources! 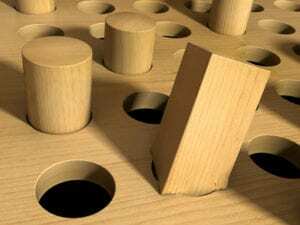 Explain that the objective evidence indicates that it is, in fact, a round hole that needs to be filled, not a square one. Of course, our clients almost always want to know “how long will this take?” And they soon learn that we actually save them considerable time and at least $10,000.00 in direct costs because we do so much more on the “front end.” Remember the old saying about where you’ll end up if you don’t know where you’re going. So, despite common misconceptions, the Synergy Screening System® actually streamlines the process, carefully identifies the target, and saves organizations considerable time, money, and aggravation.